Our Stick Power Charger is made of sturdy metal and is perfect for travelers and business people on the go. Dimensions: 0.75 " x 3.75 " x .75 "
Boost your promotional campaigns while powering up your customer’s gadgets, with the irresistible Stick Power Charger. It features a slim and super-handy design that is easy to store and transport. 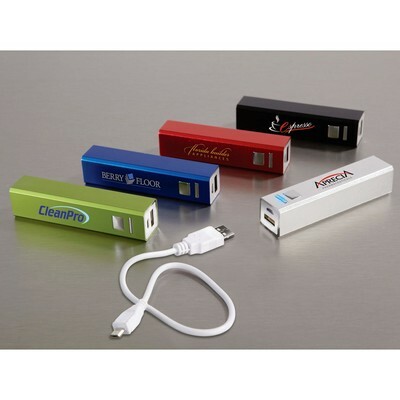 This high capacity power charger is made of sturdy metal and is perfect for travelers and business people on the go. It is available in eye-catching green, black, blue, red, and silver colors to cater to your marketing needs. 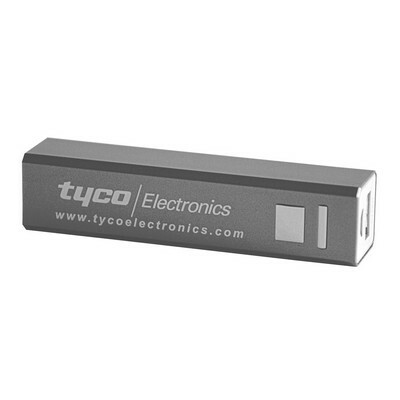 Stamp your company’s logo on the charger and give it away at trade shows, tech events, and smart phone showrooms, to maximize brand exposure.